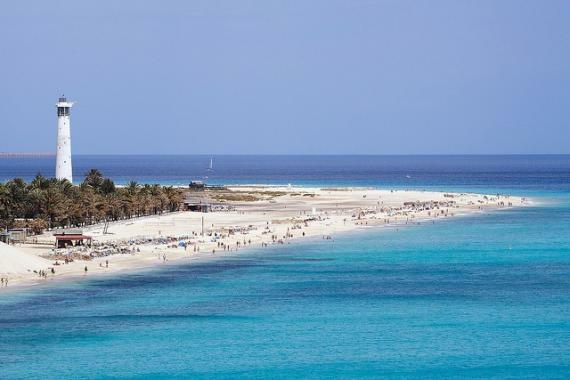 Fuerteventura, the strong adventure, is known for being a vacation sibling of Tenerife (though it is older) and has its own attractive attributes. It's the second in size island of Canary Islands after Tenerife and is followed by Gran Canaria, Lanzarote, La Palma and La Gomera. Although its big size it is the forth in population having nearly 1/9 of the population of Tenerife and 1/8 of Gran Canaria as of 2010. This is why the island is known for being a little bit calmer than its neighbors and is a great place to bring kids, animals or just the average surfer dudes. 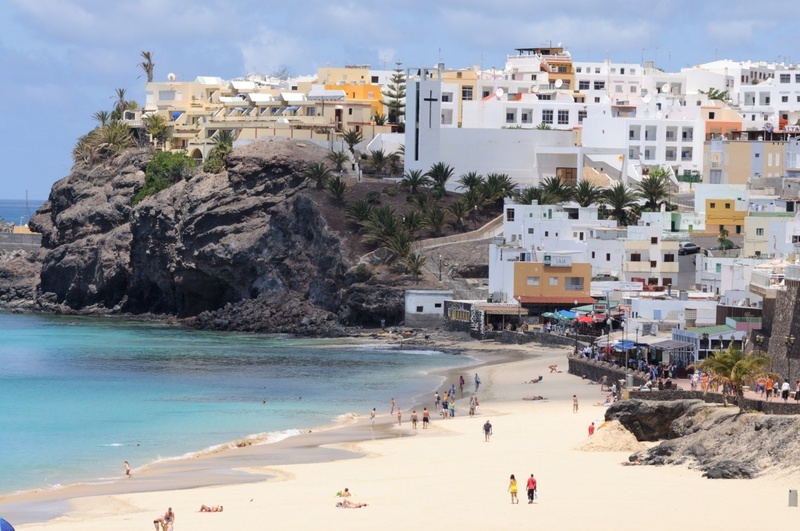 Having many amazing beaches, Fuerteventura is known world-wide as a premium vacation spot for the weary traveler and the hardworking Joe. Many places to just forget about the world are located all over the island and they are a great way to get away from it all. 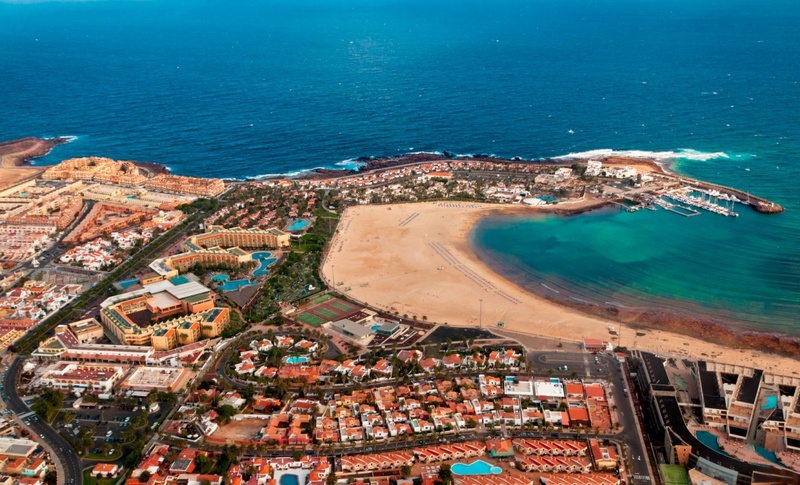 With many amazing vista-points and pristine beaches, Fuerteventura will certainly have you coming back again and again. Host to the European CPU Wind-surfing championships and with a wide variety of marine sports, fishing trips, and walking tours, travelers can come here to get active or just watch the amazing athletes compete to be the best on the island. There are many competitions including volleyball, soft ball, and a multitude of easy-going surf competitions that will keep you busy and forgetting about the world off-island. The food is prized for its freshness and originality. A mix of mainland Spanish and Majorero(Canarian)flavors mixed to make amazing dishes. The fish is mainly all fresh and you can get almost anything. The numerous beaches have brought people from all over the world. The sand on these beaches has been blown from the mouth of the Sahara and the sand is some of the best in the world. The entire island is a Biosphere reserve and the flora and fauna is un-matched in the surrounding islands. Amazing green-blue waters surround the traveler and the glass-like clarity make even a non-swimmer enjoy every minute of their vacation on the island. There are many different vacations waiting to be customized on the island and they only need you! Be sure to set the controls for Fuerteventura, you wont regret it! Find information about selected Hotels, apartments and rooms in Fuerteventura and 5 star hotels in Fuerteventura to choose the perfect place for your accommodation.